Science is humanity's greatest achievement. It ranges from the study of the universe itself to the smallest particles of matter contained within it - and everything in between. If you want to better understand our physical world, as most of us do, gaining a basic understanding of science itself is profoundly important - yet many are intimidated by the breathtaking scope of such an endeavor. Now an award-winning science teacher has taken out the intimidation, harnessing that breathtaking scope into a series of 60 exciting, comprehensive, and accessible lectures. Scientists and philosophers are not alone in grappling, at an intellectual level, with reality. Some of the most accessible interpretations are by painters, novelists, filmmakers, and other artists whose works not only draw on the latest discoveries but also sometimes inspire them. Explore examples such as Alice in Wonderland, pointillism, cubism, surrealism, and reality TV. And since dealing with reality is an experience we all share, this course is designed for people of all backgrounds. Excellent summary of where we are intellectually. Lecturer has excellent grasp of subject matter and did a great job of tying together different principles into one line of thinking. Love the presenter. Touches on lots of different paradigms. Doesn't espouse a particular world view. Just presents what's out there. What is reality? 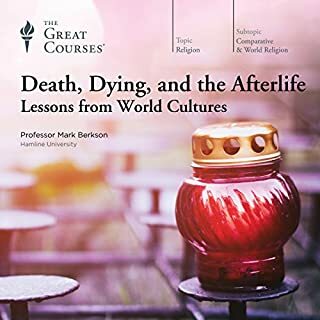 That's the subject of this series of 36 lectures. We think we know what reality is, but most people don't take the time to think about how popular paradigms color their world view. For instance, we all know that the universe is full of billions of galaxies. But 100 years ago, we all knew that the universe was basically just what you could see in the night sky. Before that we all knew that the universe was the sun, moon, 7 planets and a bunch of lights embedded in a crystalline sphere that encircled the earth. Aristotle taught that an apple dropped to the ground because it was trying to find it's natural place - an apple does what an apple does. Newton taught that the apple drops because of the relationship between the apple and the earth, this relationship being defined by gravity. Now we teach that "things" are merely sensory illusions brought about by the interaction of various quantum fields. 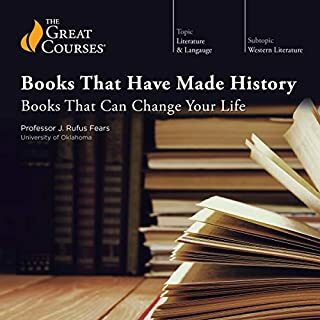 When I was finishing graduate school and getting ready for the dreaded oral exam, I took two weeks and reread every one of my undergraduate textbooks, cover to cover. I remember thinking how much more sense it all made when you saw it all at once instead of having it parceled out over one or two semesters. That's what this course is like. 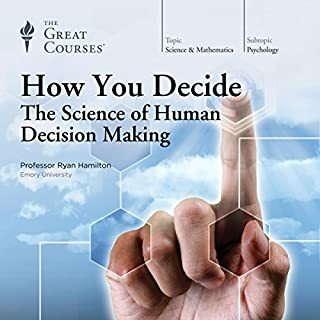 These lectures cover all of science, including the social sciences, and are without a doubt the best presentation of science I've ever read. 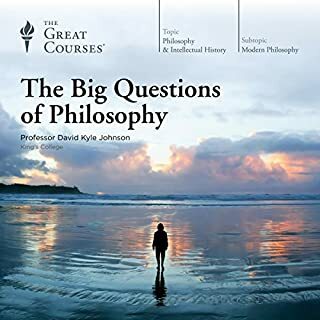 There's not much here that I hadn't already been exposed to, but the lectures are so clear that it all makes much more sense. The lectures are full of simple, every day, and often humorous, illustrations of every aspect of science. Also included is a little philosophy and the arts, as these subjects relate to reality. This is the first time I can truly say I understand what Descartes meant when he wrote "I think, therefore I am". I wish that this course was required for every school student. The information is vast, but the presentation is simple enough that anyone can understand it. The course includes not only the hard sciences, but sociology and psychology. The chapter on behavioral science - and how it's used by politicians, pundits and advertisers to influence people is actually a little terrifying. 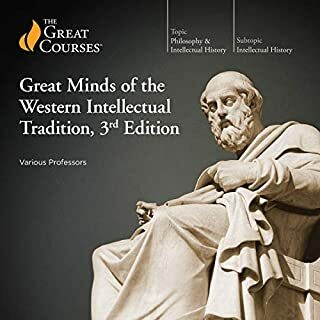 The course is 18 hours in Audible format - 30 minutes per lecture. 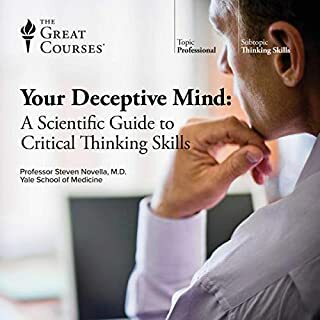 If you have a 30 minute commute you can complete it in just 18 days, and you'll have an awesome understanding not only of the great sweep of human knowledge but how that knowledge shapes our perception of what we call "reality". I liked Professor Gimbel's explanations of the different areas of science. He did a good job explaining how the science came into being. What questions the science is trying to solve. 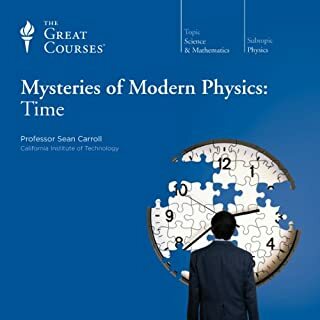 I found his explanations of relativity and quantum mechanics very good. It helped me understand these areas that fascinate me from a outsiders view a little better. These lectures start at the lowest quantum levels and go all the way up to cosmic levels. Then the lectures follow the same kind of path of understanding humans going from psychology to sociology. The last lecture talks about big data analytics and how amazingly predictable humans surprisingly are. Interesting stuff. It's long but I am glad I listened. This was a shockingly broad academic survey of reality. After reading it, I felt as if I had just gotten a summary of some of the best parts of my entire 4 years of undergrad. Gimble began his lectures by concentrating on the universe at large. This is because all things, e.g. cells, animals, the earth, our brains,our thoughts, etc, are made up of the atoms forged in the early universe. Once he described where matter came from, he proceeded to examine the reality of matter in its various forms. Glorious. His explanation of particle/field physics was wonderful. I have only ever heard such an uncluttered explanation from the likes of Sean Carroll. There are so many particles and they all do different things and are governed by different forces, it can be a really tricky subject to tackle. He can't be as thorough as Carroll about forces including the Higgs, because his lecture is much broader. But, I was impressed. He was equally gifted at describing Einstein's view of the universe. Again, Gimble provided one of the most easy to understand descriptions of general and special relativity. One of the best short histories I have heard. His explanation of the equivalence of gravity and acceleration was absolutely wonderful. The words "free will" and quantum physics should never be used together. Period. We simply do not have any solid science for that discussion. I would not have minded a discussion of free will that involved a spattering of eliminative materialism with some outdated dualism. That would have at least been digestible. But to bring quantum physics into the discussion at this point, with a complete lack of data, was a disappointment for me. Gimble also did not research his neuroscience lectures enough. He did ok with neuroeconomics but not basic neuro. He specifically said neurons do not regenerate. We have known from at least as far back as 2005 that indeed they do. Meditation (8 weeks +), exercise, and various medications result in new neuron growth in the hippocampus. Those new cells then migrate along microglial cells toward the outer cortex, resulting in new neurons in the larger brain. It is a slow process to be sure, unlike a skin cell that is damaged. So losing brain cells is a serious matter. However, there is zero question that neruogenesis occurs. He also fully accepts the mirror neuron hypothesis about empathy and morality when there is a lot of evidence to suggest it might be much more complicated than that. Yes mirror neurons are activated when seeing others carry out actions. However, there is no solid evidence to suggest they are where morality arises. In fact, better evidence to include would have been Josh Green vmPFC and dlPFC in moral decision making. That is fairly solid evidence for morality centers in the brain. His free will lectures didn't make up a large proportion of the series and it was sandwiched in between fantastic lectures. I was incredibly happy to see him include updated mechanisms of inheritance. In earlier lectures, Gimble presents all the usual genetics information- e.g. Mendel. But then addressed modification of DNA by environmental factors, e.g. a baby can have up to 7 biological parents contribute to their biological being. After discussing the development of a child, he returned to free will, and it was much more palatable in this context. Some more great moments from this series came from Gimble discussions of thermodynamics in the whole universe, in stars, on plant earth and in living things. He also provided information on the work that synthesizes the conditions at hydrothermal vents, in an attempt to understand from where first life originated. Absolutely wonderful discussion. I highly recommend this series. I have listened to a lot if Great Courses and will continue as long as they make them. Their are ones that are more fit for viewing because visuals are key to the lessons. This course is perfect for audio. it is full of contemplative lessons that make you want to inquire more about the subject matter. it is a great history lesson about the impacts of the paradigm shifts of humanity.. The narrator has an upbeat voice that really conveys his interest and knowledge about the subjects discussed. Another great Great Course! All of the cool parts of all the sciences (and social sciences) are covered in this lecture. The lecture is somewhat equivalent to taking the first year undergraduate course of study where you didn't have to worry about memorizing irrelevant facts or learn the mathematics. 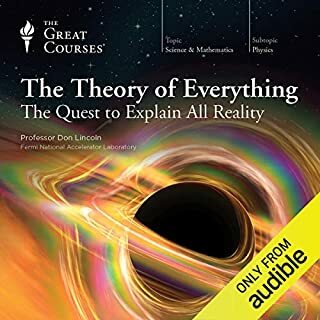 He tells you what you need to know about physics, geology, economics, sociology, psychology, and even why deductive systems such as mathematics with it's different orders of infinity is so cool and relevant to understanding the nature of reality. 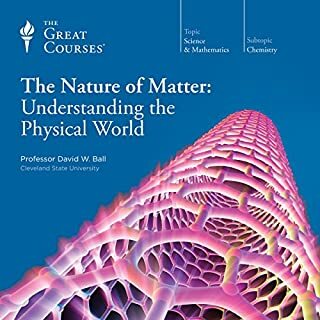 The lecturer ties each lecture together by linking the growth of each subject by how we first understand the individual item (say a rock), then the relationship between the rocks (say gravity) and then the web for which the rocks live in (say the universe). The paradigms we use to describe our reality are part of the current understanding and when somebody steps out of that paradigm and sees the world differently we first say they are spouting nonsense, but overtime the new paradigm can take hold. Newton was called crazy (action at a distance, what an absurd concept! ), Einstein was challenged until he wasn't then he never accepts the quantum mechanics, and so on. Always, the lecture educates and entertains. He will tie difficult points to a movie, a book, or a painting and show how it is relevant to the point he is making. "Frankenstein" the book finally makes sense to me. Helped me do my hour long beach walks. 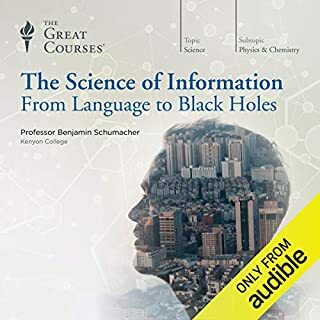 I like the progression the course took starting with the basics of physics and working right up to the latest time now with data mining and social media and how it all tied together at the very end. The professor knew his stuff and had his facts down cold. I would summarize this course as more of a brief history of science rather than an exploration of reality. A reader reasonably versed in science is going to find the the first half painfully elementary. 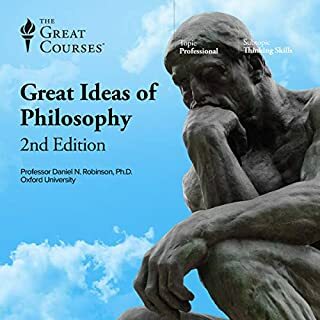 The second half is a little better but still doesn't delve into what I would expect for a course supposedly designed to redefine my idea of reality. It might make a redefinition for a particular individual with no prior knowledge of scientific advancements of the past 100 years. But wait. 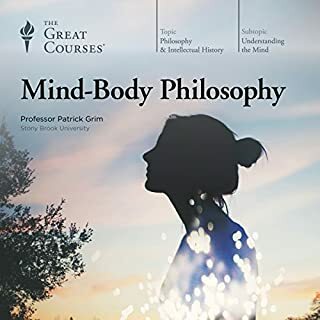 While this course was a disappointment to me, it may be great for you. I expected more mind stumping discussion than a recap of the history of mathematics and the papers of Einstein. I've traveled those roads often. Almost all books on the current state of quantum mechanics will take the reader step by step through the Bohr Einstein debates. 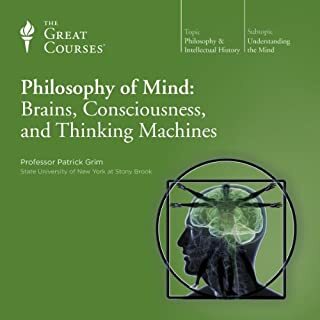 This course starts way before Einstein shook up reality. Newton certainly redefined reality for his time. Even that's not far enough back. Euclid? 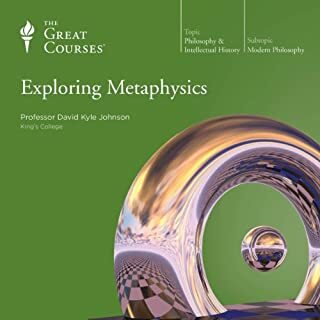 If I take a course called "redefining reality" I wouldn't expect it to begin with Euclid or Plato. 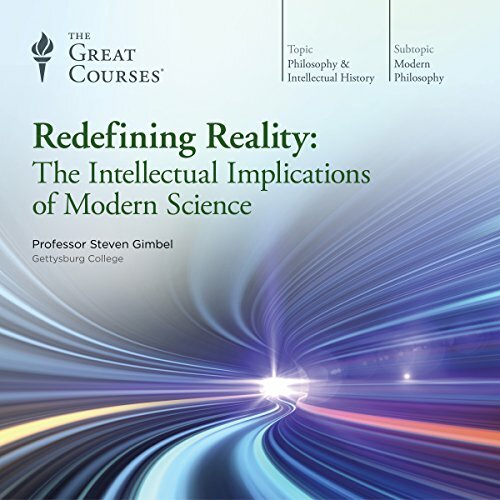 This course might aptly be called "The History of Reality as Perceived Through the Ages". It didn't change my reality. Again, let me say that the course is well presented and many people will enjoy and learn from it. 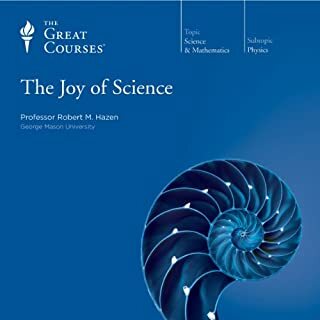 It is very basic, however, and if you have a science background you won't find anything new or thought-provoking in this course. 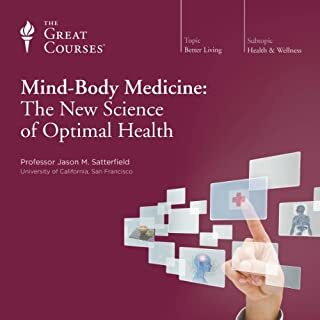 This book covers many areas I have already studied but provided many facts I did not know. For instance two Bell Lab scientists discovered microwave back ground radiation by accident and won a Nobel Prize. This has always perplexed me but now I know why they deserved it. And another thing I did not know about athletes and steroids. I mistakenly believed steroids made body building easier but just the opposite is the case. The book is full of this sort of thing and I found it gratifying to bring myself up to speed on things I did not know I needed to know. A few of the later chapters were a bit tedious and perhaps that is why so many people gave it five stars without written comment. I sort of felt that way myself but decided to do the job anyway. This book is a good value. 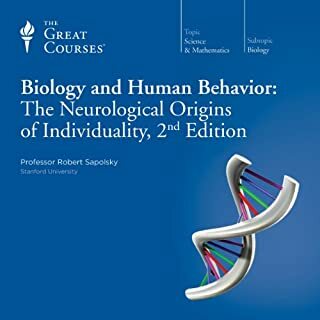 This book is a very thorough review of the newest research in the main fields of science: Physics, Chemistry Biology, Psychology and Sociology. And along with the review the author explains the main implications the research leads to. The author is able to explain difficult topics in very clear language, and has clearly has a great knowledge in history of science. 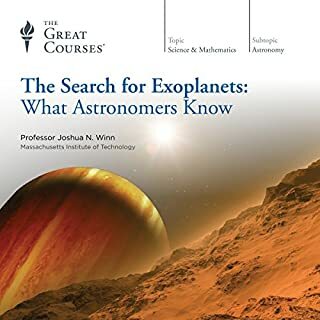 Highly recommended for those who like science.